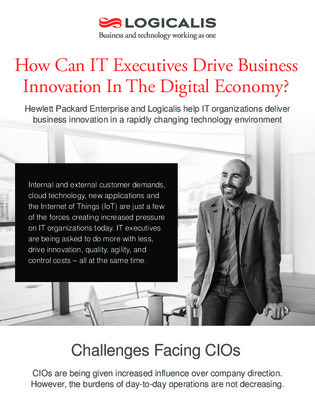 How Can IT Executives Drive Business Innovation In The Digital Economy? Under the pressures of increasing internal and external customer demands, many IT departments are having a hard time creating innovative products and applications while keeping the lights on. In fact, over 72% of CIOs say they’re struggling to balance business innovation and continued operational efficiency. Continue reading to learn more about today’s IT leaders, and how they’re surviving the balancing act between traditional IT duties and the new responsibilities of digital transformation.